Between the carnival rides and games, the spirit of Astroworld filled Houston once again one November day. 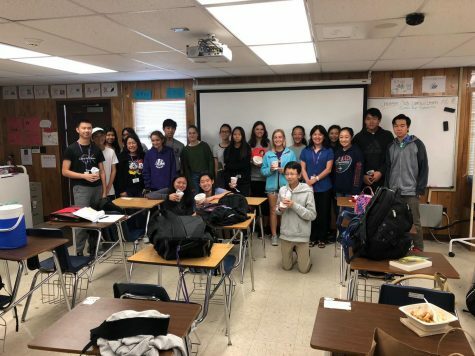 LASA students made the long drive to experience Astroworld Fest first hand. When Houston native Travis Scott released his third album, “Astroworld”, in August, he followed up on what he called “a seal of faith” to revive the now-demolished theme park of the same name. The Houston-based Six Flags AstroWorld was closed in 2005. Complete with a Ferris wheel and the gold inflatable head depicted on the “Astroworld” album cover, the legendary theme park came back to life for one day as a music festival on Saturday, Nov. 17. Tickets sold out before the lineup was released, even though it came out less than 24 hours before the gates opened. Over 35,000 attendees poured into NRG Park’s grounds, the home of the Houston Texans, throughout the next day. Pop-rap singer Post Malone and “Black Beatles” duo Rae Sremmurd were among the event’s headliners. Senior Ben Brutocao was surprised by the late lineup announcement, but had confidence that Scott would not disappoint. 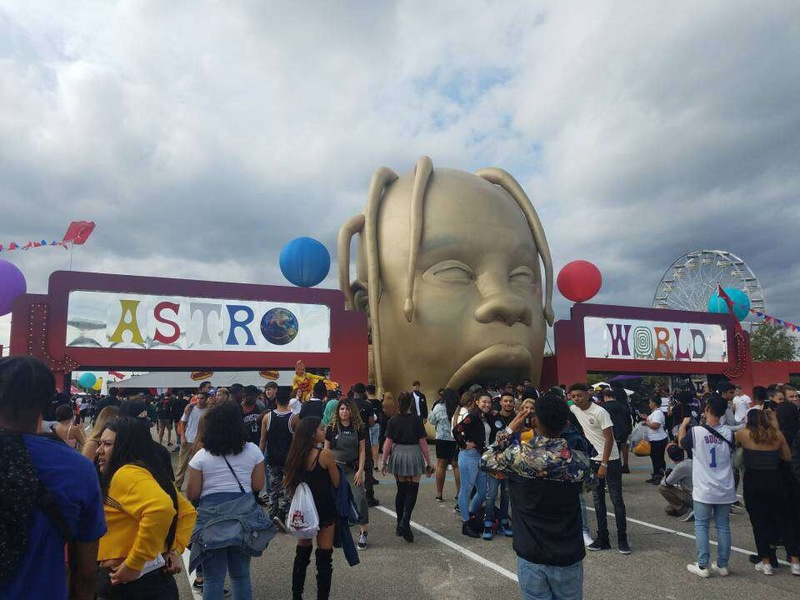 Brutocao said Astroworld Festival ultimately met his high expectations. High energy was a key theme of Astroworld Festival. The tone was set by lyrics such as those on “Stargazing,” the album’s opening track: “It ain’t a moshpit if ain’t no injuries.” Senior Kendall Kucera was among the ragers, Travis Scott’s affectionate moniker for intense fans. Kucera said while he was overwhelmed by the energy, he enjoyed the event’s inclusivity. By evoking the lost amusement park’s nostalgia, the festival built a distinct identity compared to ACL. Even the shirts and hats being sold paid homage to the park. Senior Aly Hirani appreciated the merch’s designs but said they were on the expensive side. He also said he liked the aesthetic of the festival. Much like the rollercoasters of old Astroworld, new Astroworld had its ups and downs. Brutocao said some of the performances were disappointing. Astroworld Festival was one of the final events of Travis Scott’s Astroworld: Wish You Were Here Tour, which concludes on Dec. 19 in Los Angeles. After a hometown tribute accompanied by another platinum-selling album, Scott’s future plans remain unknown. For now, fans like Brutocao, Kucera, and Hirani will wait to learn if Astroworld Festival was a one-time phenomenon, or if it was only the beginning.